Most of the applicants from non-EU and non-EEA countries who received no financial aid either turned down their place or never showed up to UTU. Finnish universities started charging tuition fees from students coming from non-EU and non-EEA countries last year. Application numbers for master’s programmes plummeted due to the fees last year but have now bounced back to where they were two years ago. Has the reform achieved its goal: are non-EU and non-EEA students paying tuition fees? At least at University of Turku (UTU), very few do. Last year the UTU accepted 84 students from non-EU and non-EEA countries. Out of those 84, 27 got scholarships or grants, and 17 of them began their studies. Two only got half grants and one got the American Fulbright-scholarship. The majority of those accepted, 57 students, received no financial aid. Most of them either turned down their place or simply never showed up. At the moment, only four students are paying full tuition. Same goes for Kuopio and Jyväskylä. According to Jyväskylän ylioppilaslehti only five students from non-EU and non-EEA countries at the University of Jyväskylä pay full tuition. Savon Sanomat claims only one student at the University of Eastern Finland is paying tuition. The University of Turku has a policy of one in three students from non-EU and non-EEA countries getting a scholarship from the university. This would mean two paying students for one scholarship student. But this system breaks down when most tuition students never show up. UTU STUDENT UNION specialist in international affairs Satu Nurmi says international students are confused about scholarship acceptance criteria. For instance, the financial situation of the student has no effect on the decision. This is due to how difficult it would be to ascertain the financial situation of the student. “Many of those with scholarships have no idea why they specifically are the one given financial aid”, Nurmi says. Different degree programmes assess applicants and submit their suggestions to the scholarship board. The final decision is made by vice principal Riitta Pyykkö. AMHAR MUHAMMAD is studying education at UTU on full scholarship. He says he was disappointed not to have been told why his scholarship application was accepted. “I still don’t know specifically why I was accepted. Basically, I know it’s based on my academic records”, Muhammad says. That’s the extent of what he knows. 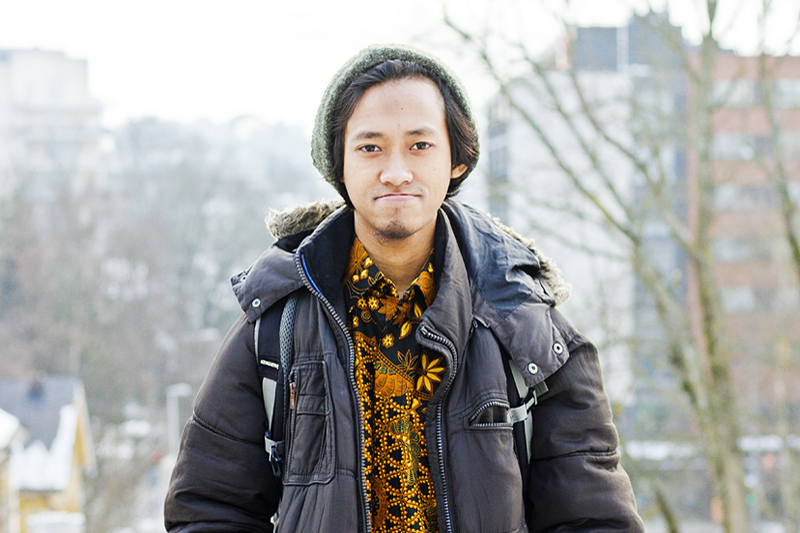 Muhammad, who comes from Indonesia, thinks acceptance criteria such as grade average and other requirements should be made known at the time of application. “As a person from a developing country, I need to know what to strive for. I wish I could inform my friends what you need to do to get the scholarship. Right now I don’t have a solid answer for them. The process should be more transparent”. Muhammad would not have started studying at the University of Turku without a scholarship. THE HEAD OF Student and Admission Services Mari Kähkönen points out that the scholarship programme is still in its developing stages. Kähkönen says clear grade requirements cannot be implemented because international diplomas are not directly comparable. The other reason is that the academic level of applicants will probably vary from year to year. The reserve system will be reformed for the upcoming round of applications. Kähkönen says no other big changes are to be expected, since tuition fees are still very new for our universities. What if paying students won’t turn up in the future either? “There is so little that can be predicted with the tuition fee system, I wouldn’t draw conclusions for the future from just one round”, Kähkönen states. This year there were 970 applications for international master’s programmes at UTU, out of which 72 per cent came from non-EU/EEA countries. The countries most represented were Pakistan, Ghana, Bangladesh, Nigeria and India.